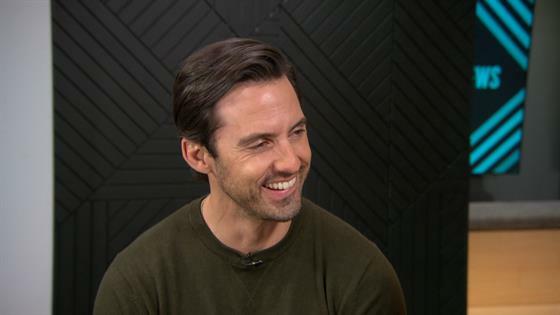 This Is Us left us hanging with so many questions after its midseason finale, (spoiler alert!) ranging from, but not limited to, Are Randall (Sterling K. Brown) and Beth (Susan Kelechi Watson) getting divorced? Are they divorced in that flashforward? Is Rebecca (Mandy Moore ) still alive in the flashforward? Did Jack (Milo Ventimiglia) know his brother Nicky (Michael Angarano/Griffin Dunne) was still alive? Well, the answers are coming. Ventimiglia told E! News' Erin Lim the big Nicky reveal "uncovers a greater questioning of Jack, because he never included his brother in his family." "He always said he was dead. Did Jack know? Did Jack not know? There's a couple questions, I think, that need to get sorted out," Ventimiglia, who was working with Kelley Blue Book, said, noting the questions are answered relatively quickly. "Some answers will be happening," he teased. As for Randall and Beth, when viewers last saw them, Beth had kicked Randall to the couch and there seemed to be some distance (based on conversations) between the two in the flashforward. That could just be the writers worrying fans, or…something worse. 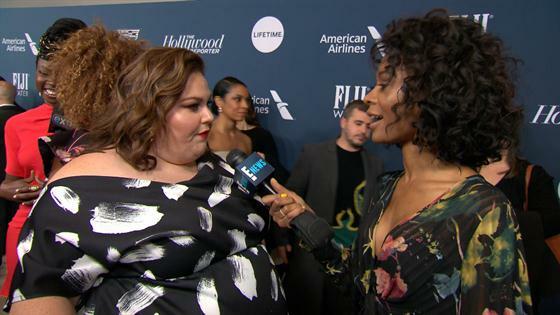 Chrissy Metz: Mandy Moore's Been in Prosthetics for "600 Hours"
"It's a little rough right now," Kelechi Watson told E! News' Zuri Hall at The Hollywood Reporter Power 100 Women in Entertainment. "It's our job to portray marriage, kind of the way it happens and so we want to be true to that. We want to give them the journey that they deserve. I think if we stayed in a very comfortable place it was be nice and sort of ideal, but not real. So, yeah, we're going there. All the way there. Sorry. I know we stress people out." Click play on the videos above to hear more from Ventimiglia, Kelechi Watson and Chrissy Metz. This Is Us returns Tuesday, Jan. 15 at 9 p.m. on NBC.